This is also a great way to more easily share routes between all club members. Everyone will need to have their own personal account (free is ok) to log into the Ride with GPS website first, then they can access the Club Account. Upon request, members will be provided a setup link that will connect them to the SBRA Club Account. Once connected via the setup link, the Club Account access will be inserted into their personal account as a link on their profile page under "Organization." From this point on members will simply log into their personal account, then click on the Club Account link under Organization (on their profile or home page). You can keep your own personal account and change it back to a free (Starter) account. We are not sure what Ride with GPS will do about refunds. You'll need to email them directly with that question (clubs@ridewithgps.com). Once you change your personal account to a free account, you will still be able to edit your routes using the standard level tools provided with a free account. You can also copy them at any time to the Club Account. All routes you created will NOT expire if you change to a free account. For members who already have a "free" Ride with GPS account, nothing will change in your account other than the new link to the Club Account. 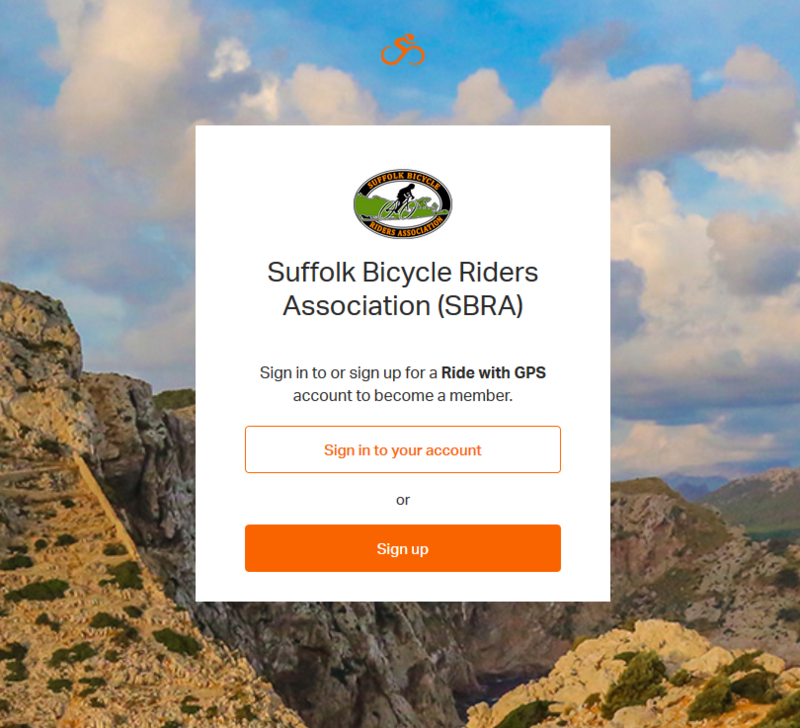 As stated in the general information, members can request a setup link that will connect them to the SBRA Club Account on Ride with GPS. At the setup link location you will see the following page. 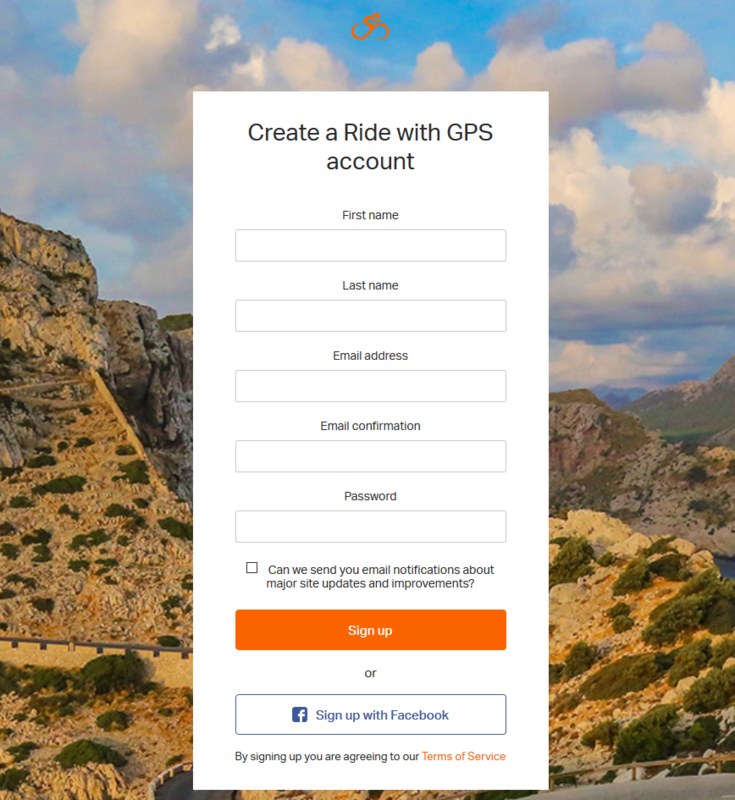 If you have a Ride with GPS account you can simply click the white "Sign in to your account" button (you'll be signing into your personal account). 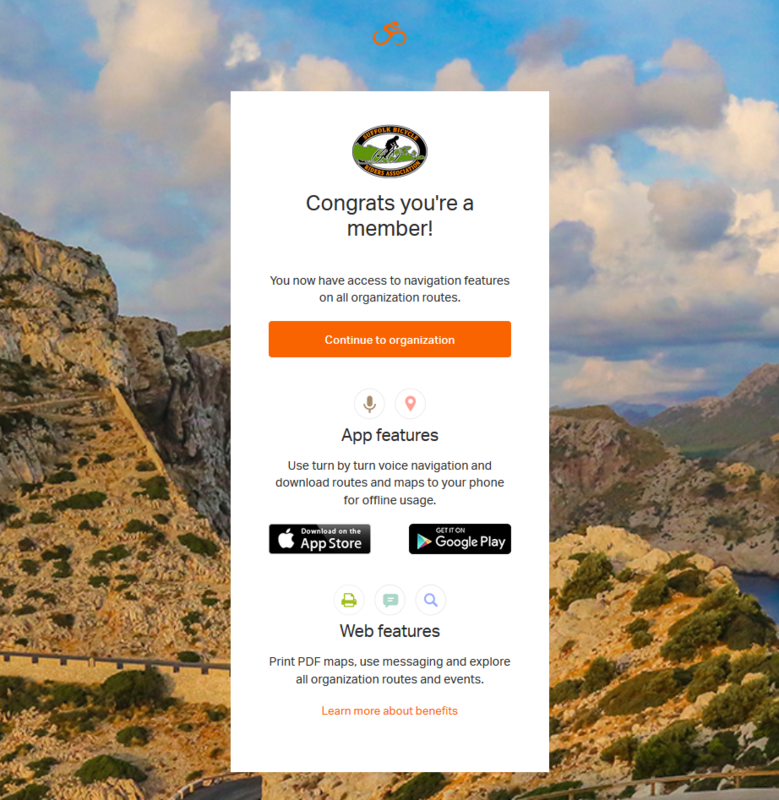 If you DO NOT yet have a Ride with GPS account, you would click the orange "Sign up" button and fill out the form as shown below. NOTE: Accounts with false names or email address will not be accepted into the Club Account. Once you have completed the Sign up form, you will see the following page. As stated in the General Information above, from this point on members will simply log into their personal account, then click on the Club Account link under Organization (on their profile or home page) to connect to the SBRA Club Account. You can now begin creating your own routes using the standard tools provided by Ride with GPS. If you are a paid SBRA member, please email: webmaster@sbraweb.org to request a setup link to join the SBRA Club Account on Ride with GPS. Once you have connected to the SBRA Club Account, you can begin creating your own routes using the standard tools provided by Ride with GPS. If you are an SBRA Ride Leader and would like to utilize the Premium tools on Ride with GPS, you will need to email: webmaster@sbraweb.org and request "Route Manager" status. It is important to follow some basic "sharing" policies as a courtesy to other members also utilizing this Club Account. If you find a route you like that someone else created, please either copy it before making any edits, or contact the author and ask them if you can edit their route before doing so. Please also be careful not to delete another member's route(s).